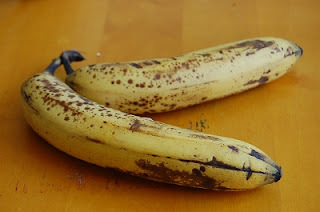 I got left over black spotted bananas. Do you think they are too much riped? They are still eatable, and sweet and soft. It is best time to eat!! 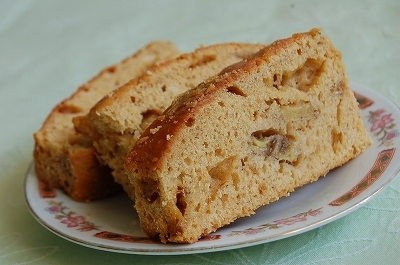 But I couldn't eat them all at once, so I made Banana cake. Banana cake or Banana bread is popular all over the world!! It is easy to make. You can make it with one bowl. At first, I made caramel banana with a sauce pan. That is a point. It makes cake bit of bitter taste and extra sweet. 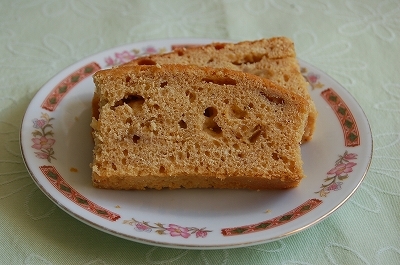 This cake has moist and sweet because of banana. And caramel makes it moister and brown color. It is fine served on its own with no topping or light dusting of icing sugar, or you can fold leftover caramel sauce into whipped cream for a richer treat. I used a 20cm x 20cm square tin. But this recipe is for a loaf tin. 1. Make caramel banana sauce. Heat sugar on moderately high heat in a sauce pan. As the sugar begins to melt, shake the sauce pan. Don't stir it!! Sugar becomes brown and caramelize, turn off the heat and add 2 teaspoon of hot water. Be careful, the hot caramel sauce might splash. 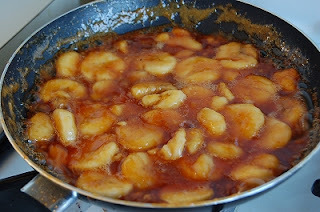 Add sliced bananas into the sauce and combine well. 2. 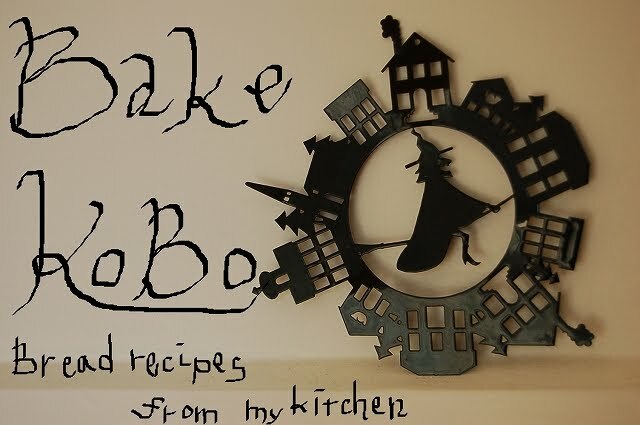 Sift the flour and baking powder together. Preheat oven at 190℃. 3. Cream the butter and sugar until fluffy then add the eggs one by one and beat until silky and lightened. 4. Add 1/2 of sifted flour and combine with a spatura gently. 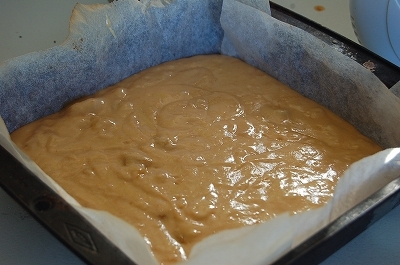 Add caramel sauce and all flour, combine gently as well. 5. Pour batter into the prepared tin. 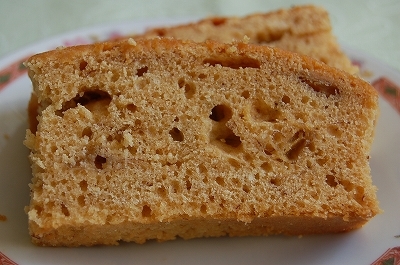 Bake it at 180℃ for 45 - 50 minutes till cake is golden brown and a toothpick inserted in the center comes out clean. 6. Cool it down and take the cake out from tin.